THE SINOTRONICS NIGHT AT THE WORLDTRONICS 2012 FESTIVAL BRINGS CHINESE MUSICIANS FROM DIFFERENT CITIES AND DIFFERENT CONTEXTS, FROM THE LIVE EXPERIMENTAL MUSIC SCENE AND THE STUDIO-BASED ELECTRONIC MUSIC SCENE TO BERLIN. XP MUSIC CLUB (THE SUCCESSOR OF D-22) AND ZAJIA LAB IN BEIJING OPENED UP, OFFERING ELECTRONIC AND EXPERIMENTAL MUSICIANS TO PERFORM ON A REGULAR BASE AND TO FIND AND DEVELOP THEIR AUDIENCE. DESPITE THE RELATIVELY SMALL SIZE OF THE SCENE, THIS TAKES PLACE IN VERY DIVERSE, DYNAMIC AND VIVID WAYS & FORMATS. METROWAVES AS A INDEPENDENT PLATFORM FOR ELECTRONIC MUSIC, AIMS TO BE PART OF THIS DYNAMIC DEVELOPMENT. 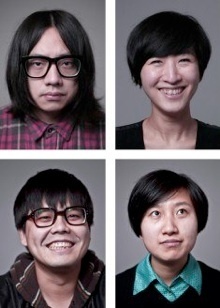 THE SHANGHAI-BASED BAND PROJECT DUCK FIGHT GOOSE WAS FORMED IN 2009 BY HAN HAN, 33, PANDA AND DA MEN. 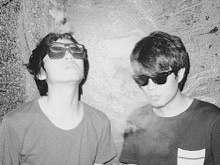 THEIR MUSIC IS HEAVILY INFLUENCED BY MODERN MATH ROCK AND NEO-­PSYCHEDELIC BANDS WITH A VERY STRONG PRESENCE OF ELECTRONIC MUSIC TOOLS AND INSTRUMENTS. HOWEVER IT SEEMS POINTLESS TO TAG THEIR MUSIC INTO A SPECIFIC GENRE. DUCK FIGHT GOOSE TEND TO USE AND PERFORM MULTI­‐INSTRUMENTS TO CREATE THE UNIQUE SOUND SPACE OF THEIR OWN, DESCRIBING A DARK IMAGE OF CITIES, SPORTS, FUTURE AND MORE. DUCK FIGHT GOOSE WILL PERFORM FOR THE FIRST TIME WITH LIVE VISUALS FOR THE SINOTRONICS NIGHT AT WORLDTRONICS 2012. 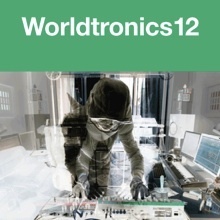 A SECOND WORLD PREMIÈRE AT WORLDTRONICS 2012 IS THE COLLABORATION OF DEAD J (SHAO YANPENG) & PHILLIP SOLLMANN (EFDEMIN). SHAO YANPENG AND PHILLIP SOLLMANN MET DURING THE TWO STAYS OF PHILLIP SOLLMANN IN CHINA AND SHAO YANPENG'S STAYS IN BERLIN. FOR THE WORLDTRONICS 2012 FESTIVAL THEY DEVELOPED A MUTUAL A SOUND INSTALLATION. 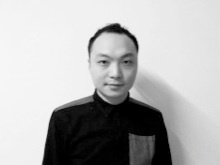 THE HONG KONG-BASED ARTIST CHOI SAI-HO COMPLETES THE LINE-UP. 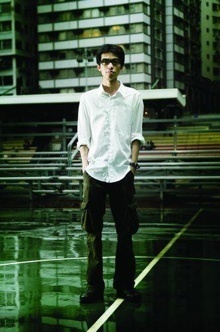 CHOI SAI HO IS THE MULTIFACETED KEY FIGURE OF THE ELECTRONIC MUSIC SCENE IN HONG KONG, ISOLATED FROM THE MUSIC SCENE IN MAINLAND CHINA. “ELECTRONIC MUSIC ORIGINATED IN WESTERN SOCIETY AND I TRY TO MIX IT WITH MY OWN CULTURAL ROOTS”, EXPLAINS CHOI SAI-HO. 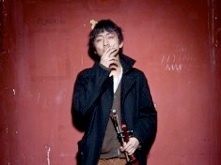 THE 29-YEAR-OLD MUSICIAN FROM HONG KONG USES A RANGE OF INSTRUMENTS, FROM THE CLASSIC VIOLIN TO THE NINTENDO GAME BOY. AND THAT’S HOW HIS MUSIC SOUNDS: LOW-FI ELECTRO, WHICH IS SOMETIMES REMINISCENT OF THE METALLIC CLANKING OF BATTLING ROBOTS BUT ALSO AT TIMES RESEMBLES ROMANTIC AMBIENT MUSIC. 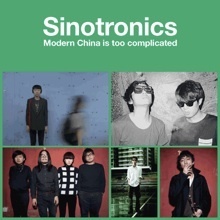 THE SINOTRONICS NIGHT GATHERS SOME OF CHINAS MOST INNOVATIVE & INFLUENTIAL MUSICIANS AND ELECTRONIC MUSIC PROJECTS. WELCOME TO JOIN US!